Kristin gave me this book as soon as I finished Me Before You by Jojo Moyes. Can’t wait to start this one. Goodreads: Suzanne Redfearn delivers another gripping page-turner in her latest novel, a story about a young mother’s fight to protect her children from the dangerous world of Hollywood. Faye Martin never expected her husband to abandon her and her three children . . . or that she’d have to struggle every day to make ends meet. So when her four-year-old daughter is discovered through a YouTube video and offered a starring role on a television series, it seems like her prayers have been answered. But when the reality of their new life settles in, Faye realizes that fame and fortune don’t come without a price. And in a world where everyone is an actor and every move is scrutinized by millions, it’s impossible to know who to trust, and Faye finds herself utterly alone in her struggle to save her family. Emotionally riveting and insightful, NO ORDINARY LIFE is an unforgettable novel about the preciousness of childhood and the difficult choices a mother needs to make in order to protect this fragile time in her children’s lives. Another good read to look forward to from Kristin. She knows how to pick them! So many good books, not enough time! This entry was posted in Just An Opinion and tagged After You, Jojo Moyes, No Ordinary Life, Suzanne Redfrearn by opesopinions. Bookmark the permalink. 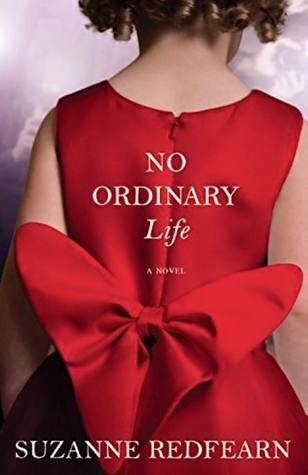 No Ordinary Life’s cover is gorgeous. 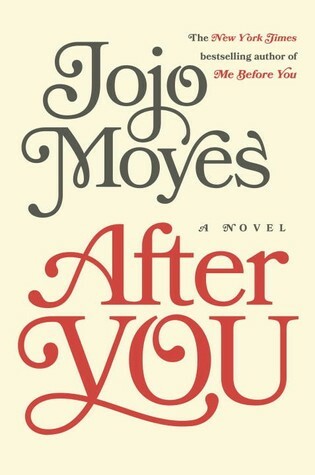 I haven’t read ‘After You’ yet. I am still double-minded about it.